Aden, a seaport city in Yemen has a population of around 800,000. 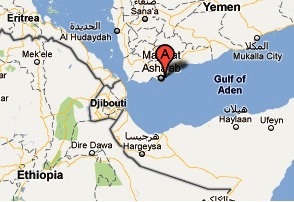 The area came under British influence when Sultan Muhsin bin Fadl ceded 75 square miles including Aden to the British. It was part of British India until 1937 when it became a crown colony. The city along with the Aden hinterland and the Hadramat areas became the Aden Protectorate (Southern Yemen) – Great Britain signed treaties of protection with local rulers of the areas. Southern Yemen became independent as the People’s Democratic Republic of Yemen on November 30, 1967 and Aden became its capital. South Yemen unified with North Yemen (Yemen Arab Republic) to form the Republic of Yemen on May 22, 1990. As a part of British India, Aden used colonial Indian stamps until it became a crown colony on April 1, 1937. Stamps of India used in Aden are identified by the ‘124’ postal cancellations assigned to Aden. The first stamps of Aden were a set of twelve stamps (Scott #1 to #12) in denominations of half anna to ten rupees issued on April 1, 1937. The set catalogs for around $750 MNH and around $580 Used. The design showed a Dhow in different colors. A set of thirteen stamps showing architecture and history of Aden soon followed between 1939 and 1948. That set (Scott #16 to #27a) is also sought after and catalogs for around $55 MNH and around half that for Used. The designs show Aidrus Mosque, Camel Corpsman, Aden Harbor, Adenese Dhow, Mukalla, and the Capture of Aden of 1839 (landing of Royal Marines at Aden to occupy territory and stop attacks by pirates against British ships to/from India). A set of eighteen stamps issued between 1953 and 1959 showing local scenes. The set (Scott #48 to #61a) catalogs for around $60 MNH and around $35 Used. The designs show Minaret, Camel Transport, Crater, Mosque, Dhow, Map, Salt Works, Dhow building, Colony badge, Aden Protectorate Levy, Crater Pass, Tribesman, and a depiction of Aden in 1572. Overprints commemorating significant events on existing dominated the stamp issues of Aden during the period till 1966. The overprints are not that expensive although rare varieties such as double and inverted overprints fetch a huge premium. A set of eleven stamps issued in the Kathiri State of Seiyun but valid for postage through the protectorate of Aden issued in 1942. The set (Scott #1 to #11) catalogs for around $45 MNH or Used. The designs show Sultan Ja’far bin Mansur al Kathiri, Seiyun architecture, Minaret of Tarim, Mosque at Seiyun, Palace at Tarim, South Gate of Tarim, and Kathiri House. The Qu’aiti State of Shihr and Mukalla and the Qu’aiti State of Hadhramaut also issued stamps inscribing the name, the ruler, and local scenes starting in 1942. This was a compromise by the British government as the sultans of the area objected to having KGVI heads depicted in the stamps of Aden. 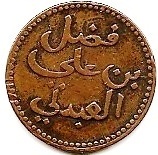 The East African Shilling became the currency of Aden replacing the Indian Rupee in 1951 and that currency was in use in British controlled areas of East Africa between 1921 and 1969. Original historical photographs are a good collectible item from the area.